The most orthodox and reliable of the early church fathers preached and taught nothing more than a Reformed progressive sanctification (like the Puritan and Reformed tradition). There are, however, some phrases and sentence fragments in the early church fathers which Wesleyan and Holiness scholars have come to see as evidence for entire sanctification. But these expressions don’t persuade me to the Wesleyan view of entire sanctification:–which is supposedly the idea that the love of the Holy Spirit can so flood the heart of a Christian, as to eradicate or exterminate his natural sinful nature! I see no hint of any such teaching in the Bible or the early church fathers. The Fathers go no further than what the New Testament says about the word “perfect,” and such. 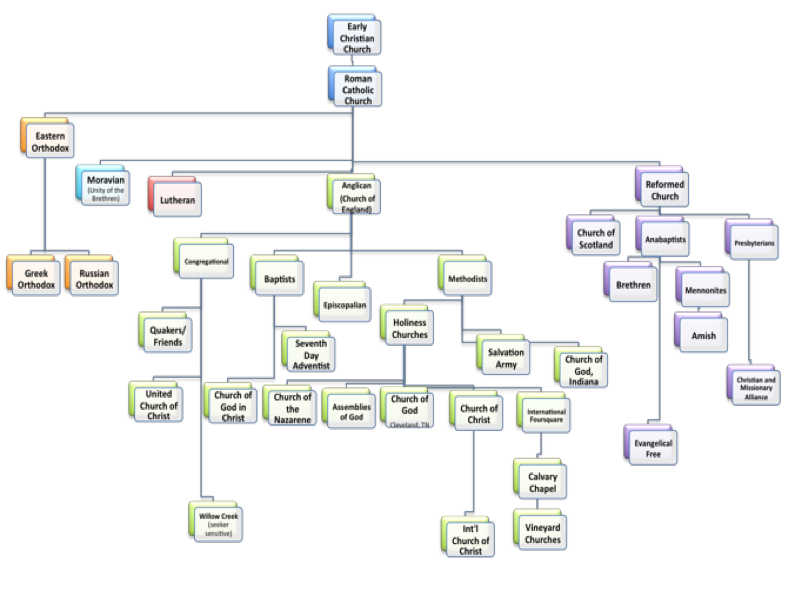 1 John type of terminology can be found in the early fathers, which is to be expected. But it would be a stretch of the imagination to say they drew the conclusion that original sin was eradicated by an experience of entire sanctification in the Holy Spirit. Now, for some examples. CLEMENT OF ROME – d. 99 A.D.
IGNATIUS OF ANTIOCH – d. 107 A.D. Unless you are reading these phrases with John Wesley‘s eyeglasses, it can be easy to see how none of these early church fathers taught holiness in such a way, as to imply that Christians can be totally purged, from all of their natural sinful nature. 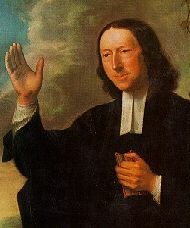 This teaching was Wesley’s error; and the error of the Methodists and the Holiness Movement. While John Wesley erred when he taught the Bible implies the Holy Spirit can totally exterminate the natural sinfulness of man (getting this idea from Clement of Alexandria)–Charles Finney erred when he taught that no man has any originally sinful nature (like Pelagius). Wesley was much more moderate about original sin than Finney was, but still wrong. Because none of the orthodox church fathers taught that original sin could be annihilated by the Holy Spirit. Wesley supposed, without any clear, plain, or long passage of Scripture–that original sin could be exterminated by entire sanctification in the Holy Spirit just prior to death. I’ve heard it argued that because the prophet Elijah experienced entire sanctification, he was thus privileged not to see death, and this is why he was taken up into Heaven in a whirlwind. Hmm…But the Bible doesn’t say Elijah experienced entire sanctification. In John Wesley’s A Plain Account of Christian Perfection, he states that he thinks the Apostle John is the only apostle that experienced entire sanctification. But that argument also fails to persuade me. Clement of Rome and Ignatius of Antioch, like 1 John, are obviously referring to the process of completing divine love and virtue in our lives through improving ourselves or “perfecting” holiness by degrees of prayer, being Spirit-filled, energized, being fully obedient to the Bible, so that there will be NO ON-PURPOSE SINNING, no voluntary transgressions of God’s law in our lives. They say nothing about the Holy Spirit exterminating our sinful nature! No entire sanctification doctrine. Irenaeus commands us to give up all greed…of course. He even goes so far to clarify 1 John‘s teaching on the word “perfect”:–people in the Bible were called “perfect,” because they had the Holy Spirit in them, but it wasn’t to be seen as such a level of perfection that their flesh had been stripped off! Romans 7, which teaches that the flesh of the body has a sinful nature, is obviously balancing out his thought. No entire sanctification doctrine. The Shepherd of Hermas exhorts Christians to continual obedience to God, to avoid willful disobedience (on-purpose, intentional sinning), maintaining an innocent life, and to be cleansed inwardly even as one cleans a house (but note: nobody’s house is perfectly clean). No entire sanctification doctrine. The Epistle of Barnabas exhorts Christians to be righteous and spiritual temples of the Holy Spirit, and have pure hearts, but nothing is clearly or plainly said about the sinful nature of man being eradicated, exterminated, or annihilated by the Holy Spirit. No entire sanctification doctrine. Things change, however, when we come to the early church HERETIC Clement of Alexandria (d. 215). He came just after Irenaeus, the church father. 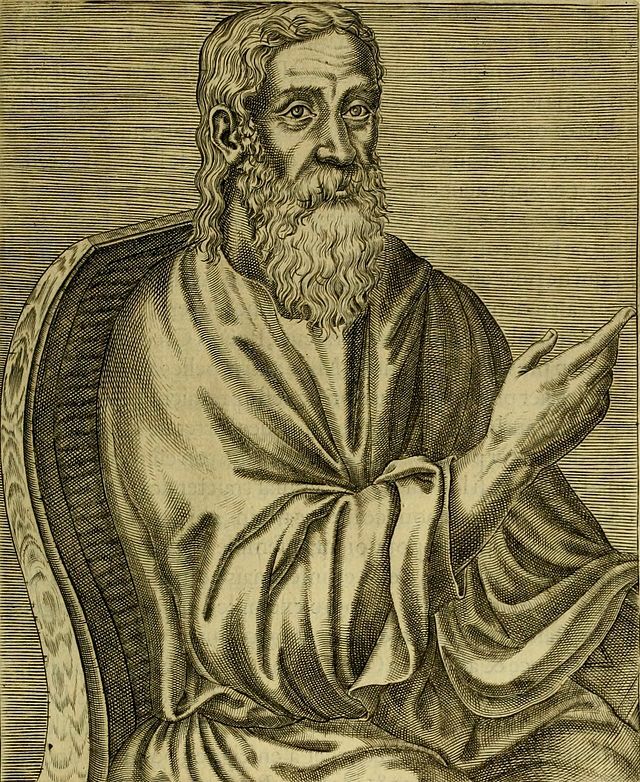 Although Clement of Alexandria and Origen (d. 254) are often put together in Philip Schaff’s collections on the church fathers–it is common knowledge in the world of theology that both of these men were anathematized by church councils as heretics for their Gnosticism, Neoplatonism, universalism, and heresies. Clement of Alexandria went off the deep end with expressions that sound just like entire sanctification (if not worse). Perfect pureness of mind! He speaks of men reaching a point in their lives when they are said to “become perfect.” This implies all spiritual growing has stopped. It has reached the ceiling of spiritual and moral perfection. He goes off the deep end and states that men can become so “pure from sins” that they are “already of angelic rank!” And, “Grown holy without this earth”–that is, without the sinful nature of this body of flesh; without original sin anymore. This is the doctrine of entire sanctification in seed form. Sadly, John Wesley was influenced by Clement of Alexandria’s entire sanctification teaching. Then, by eisegesis, he went back to the Bible to look for evidence of it, which produced Wesley’s version of the doctrine. Wesley said, “Five- or six-and-thirty years ago  I much admired the character of the perfect Christian drawn by Clemens Alexandrinus. Five- or six-and-twenty years ago  a thought came into my mind of drawing such a character myself, only in a more Scriptural manner, and mostly in the very words of Scripture; this I entitled The Character of a Methodist.” This was WESLEY’S ERROR. He allowed a heretical writing (Clement of Alexandria’s Stromateis) lead him to IMAGINE pictures in his mind of a perfect Christian, which went further than the realistic bounds of the Bible; while at the same time, he tried all he could to find evidence for it in the Bible, as a model for Christians to strive for, expect, and experience in their lives. (Rather than just doing what had traditionally been done: the IMITATION OF CHRIST, and not entertaining an imaginary idea of attaining to the state of a perfect Christian.) Better to imitate the perfect Jesus than to falsely hope to become the perfect Christian, as was imaginatively fantasized by Clement of Alexandria and John Wesley. Wesley tried to find support for his IMAGININGS OF THE PERFECT CHRISTIAN by quoting many, many Bible verses. Yet for all of this hermeneutical error, I have to admit, I still love Wesley’s writings, because they draw me to Biblical holiness and charismatic spirituality like no other Christian writer I know. I am still a five-point Reformed Arminian; and “Wesleyan” in basically every other way. This puts me more in line with the Free Will Baptist Church, Assemblies of God, and the Christian & Missionary Alliance. That means at least 69,633,778 see God’s saving grace in a similar way. Over 69 million! You might be able to see here why it is that I’ve adopted Creeds like the 39 Articles and parts of the 1689 Baptist Confession; and sections of William J. Seymour’s “The Apostolic Faith: An Overview.” While seeking to maintain orthodoxy through Scripture, Reason, and Tradition, I seek out the first two Creeds through which the first two denominations sprouted. The last denomination, the CMA, sprouted from the Westminster Confession, which is very similar to the 1689 confession. While seeking to maintain orthodoxy through Experience, I look to William J. Seymour (and pre-1950s books by Gospel Publishing House/Assemblies of God). One final reason to never build your theology off of Clement of Alexandria–Wesley should have known better–this Clement wrote: “It is now time to show the Greeks that the Gnostic alone is truly pious; so that the philosophers, learning of what description the true Christian is, may condemn their own stupidity in rashly and inconsiderately persecuting the [Christian] name, and without reason calling those impious who know the true God” (Stromateis, Bk. 7, ch. 1). This heretic was a Gnostic; and he believed that only Gnostics were true Christians. Hence, the Gnostics created not only the doctrine of entire sanctification, but as has been demonstrated by a quote from Origen in another article, the doctrine of eternal security (or “once saved, always saved”). Martin Luther was wise to condemn both of these heresies in the Augsburg Confession: “They condemn the Anabaptists, who deny that those once justified can lose the Holy Ghost. Also those who contend that some may attain to such perfection in this life that they cannot sin” (XII: Of Repentance). But wait a minute. It says in the NIV, 1 Corinthians 5:5: “that the sinful nature may be destroyed.” Don’t get excited. Both John Wesley and Adam Clarke, reading the KJV, “the destruction of the flesh,” saw this as the death of the body, and not entire sanctification. NIV mistranslates “flesh” into “sinful nature.” Whew. That was a close one. Galloway, J. B. A Study of Holiness from the Early Church Fathers. EnterHisRest.org. Originally this was published as a small book by Beacon Hill Press in 1951, the publishing house of Church of the Nazarene. It is an overview of quotations from the church fathers (as well as the heretics Clement of Alexandria and Origen), which appear to support entire sanctification in the Wesleyan and Holiness tradition. I obviously disagree with the author’s conclusions and interpretations of these texts; but it is a rare and useful study of the issue. Gundry, Stanley, ed. Five Views on Sanctification. Grand Rapids, MI: Zondervan, 1987. I would probably lean mainly or entirely toward “The Reformed Perspective” by Anthony Hoekema. While I adopt many of the things in Wesley’s view of sanctification, such as the use of the moral law, the means of grace, works of charity and piety, etc., I think you will also find all of these aspects in most Reformed views of sanctification. Where I disagree with “The Wesleyan Perspective” is when it implies original sin can by annihilated by entire sanctification in the Holy Spirit:–to me, that idea is imaginary and heretical. Thomas C. Oden, John Wesley’s Scriptural Christianity (Grand Rapids, MI: Zondervan, 1994), p. 319.